Tangled is my personal favorite out of all Disney Princess films, for a few reasons, but I will discuss what is problematic about it as well. There are 0 PoC in this whole film. There is a charismatic chameleon, but not PoC. I know a lot of people like to try to “debunk” the missing PoC in Disney due to some twisted and ignorant form of “historical accuracy” but let’s be real here. There is a chameleon that talks but no PoC. The absurd “historical accuracy” argument in regards to this film is junk. A really cool aspect to this film is how it deals with toxic relationships and emotional abuse. Rapunzel’s relationship with Mother Gothel is the epitome of a toxic relationship. Gothel never actually wants to protect Rapunzel, she just wants to retain eternal youth and hold Rapunzel’s magic hair captive. Not to mention, Gothel STOLE RAPUNZEL FROM HER CRIB IN THE MIDDLE OF THE NIGHT. Talk about a parent’s worst nightmare. Gothel makes Rapunzel feel like she’s not good enough for anyone to love her. That staying trapped in the tower and being used by Gothel is as good as life is going to get for Rapunzel. I believe that the tower is a metaphor for the way abused victims feel while in an abusive relationship. You’re under a certain fog. The real world seems surreal and scary. You feel worthless. And all the while I was watching Tangled, I saw myself in Rapunzel. The really cool thing about Tangled is that it breaks barriers on abusive relationships. While a lot of people think of abuse as something that happens in intimate relationships, it also happens in parent-child relationships. It’s always important to remember that. Also in this instance a woman is the abuser. While abuse IS a gendered issue, and 9 out of 10 times the abuser is a man, women can exert abusive behaviors as well. Here is a power and control wheel, designed by the National Center on Domestic and Sexual Violence. Mother Gothel exerts many of the behaviors on this wheel in her relationship with Rapunzel. Watch Gothel’s big musical number in relation to the power and control wheel. You’ll understand where I’m coming from. Seeing myself represented in this film was a major step in my recovery from a abusive parental relationship that I had. Representation in media and discussion of tough topics is so extremely important. Disney villains are not friendly people. They’re villains, why would they be? But typically in a Disney story villains represent anti-white culture. Disney villains and Disney heroines/heroes have have some obvious discrepancies in physical appearance. While heroes and heroines are attractive to white culture, villains are anythingbut. Let’s take a look at a few villain/hero comparisons. Here we have Ursula and Ariel, side by side. Ariel is a conventionally attractive white girl (minus the giant fish fin) with a tiny waist and big blue eyes. Ursula is non-white colored, with heavy lidded eyes, and obese in size (therefore contributing to stereotypes and discrimination against fat women). The representation of evil in The Little Mermaid manifests itself in the form of anything different than mainstream white culture. Next we have Jafar, the villain from Aladdin. Again, we have the heavy lidded eyes and dark skin. It appears that he is wearing eyeliner on his eye lids (ergo, Jafar is feminized; femme male = bad/evil), and his features are distinct and very non-white. His eyes are also elongated in comparison with Aladdin’s. Aladdin bears the conventional white boy features and charming smile. His skin is lighter, eyes are larger and rounder, and all around he has a more mainstream look (read: the white boy look). Even though Aladdin is a PoC, he is distorted to fit white morale. For a third comparison on the strand of Disney villan vs. Disney hero/heroine, here we have Aurora and Maleficent. Maleficent’s distortion is less prominent than the two previously discussed villans, but she still possesses heavily lidded, elongated eyes and non-white skin. Aurora is drawn in the traditional princess sense, with large, round eyes and tiny waist. The effect on children on perceptions of those with white skin and non-white skin must be profound. If they are constantly surrounded by images of people that are different being portrayed as evil and mean, then they will become socialized to view them as evil and mean. In contrast, if the child has similarities with the villians in regards to appearance, the effect on how the child will view themselves has to be negative. I know that I was profoundly affected by the portrayal of Disney villians. I was socialized by Disney to believe that I could only find happiness in life if I looked like their protagonists. When I gained weight as I got older, I bought into stereotypes that are perpetuated by Disney villians like Ursula and even Ratcliffe, from Pocahontas. How could I possibly be a good person with all this fat when all the fat people I saw as a child were evil? I will continue a discussion of Disney villian characteristics in a later post. Until then, compare and contrast villians/antagonists that you are surrounded by. How are they alike? How are the different from the protagonist? How does that affect you? The purpose of this blog is to examine the different roles women play in children’s media – primarily in Disney films. 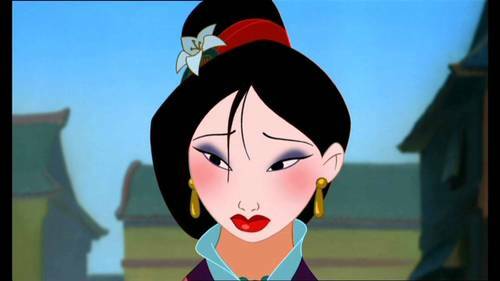 Many criticisms of Disney exist in regards to representation of race and women. While I plan on exploring both of those topics on my own, I will also reflect on my childhood and how growing up in the so-called “Disney Renaissance” affected my perceptions and expectations of the world. As a white girl, I had no shortage of princesses to identify with. Belle and Ariel were two favorites of mine until Rapunzel came along in 2010 (in all honesty, however, my ALL TIME favorite Disney movie growing up was the Lion King). I can’t help but wonder, however, who did little girls of other races have to identify with? Mulan, maybe Jasmine, maybe Esmeralda. But the pickings are slim and representations of their races are problematic for reasons I will get into later. We would be kidding ourselves to think that girls of color do not watch and subsequently are not influenced by Disney films. So, how are women of color represented in Disney? How are they different from the white women? They act differently, dress differently, and almost seem to operate in a separate dimension than white women. For example, why is Mulan a soldier in full armor on screen, but only marketed to parents and girls in her kimono? Why is Jasmine dressed so scantily compared to the other princesses (not to mention how inappropriate her outfit is for an Arabic princess)? Why does Tiana spend the majority of The Princess and the Frog as a frog instead of as the black woman she is? In addition, I want to explore women of color’s erasure in Disney films. 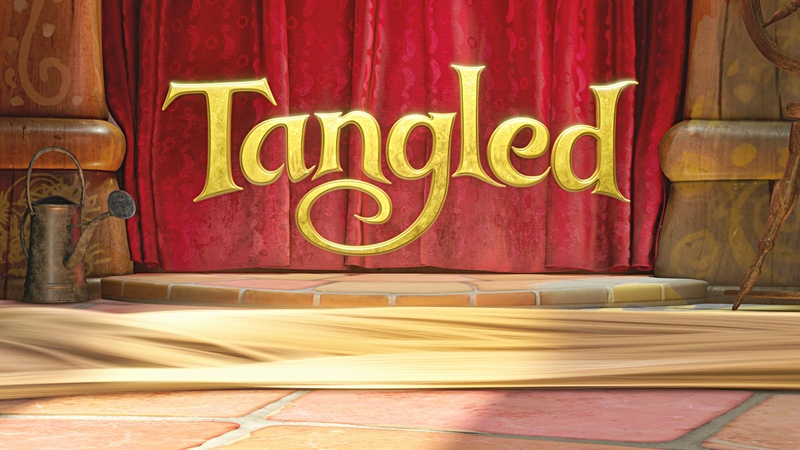 Why was there a charismatic chameleon but no women of color in Tangled? Why was there a talking snow man in Frozen but not a single woman of color in that film, either? I will be re-watching Disney movies and investigating such dilemmas. I will be working with a feminist lens with which I am going to employ my knowledge of intersectionality within feminism. I will also be stressing the importance of presenting images to children they can identify with.